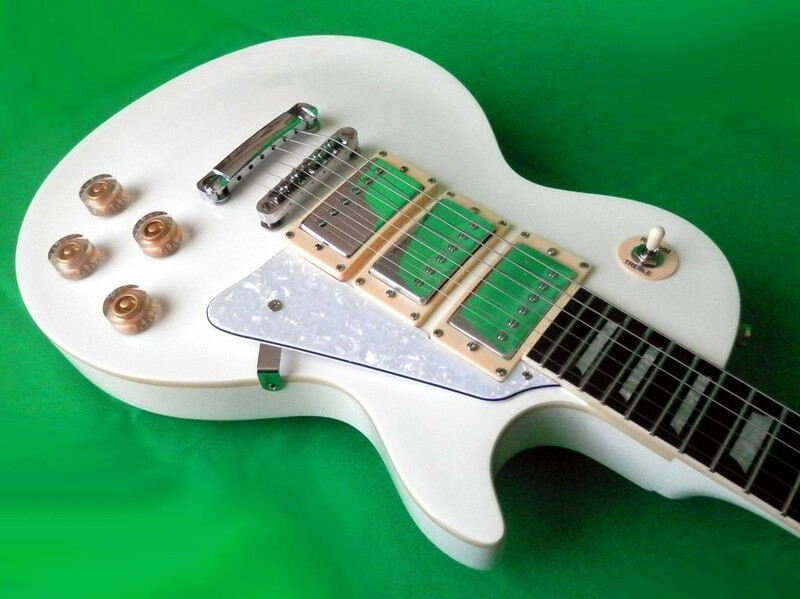 "White Knight Xtreme"12k Epiphone Les Paul Bridge PUPLP-WXCTry and find this model anywhere on the internet, let alone eBay.We built one for a customer and when others saw it they had to have one.So it's going in our lineup ..It is a reverse color scheme of the traditional Frampton style black beauty.Elite Masters Guitar Line Solid Northern Ash Body Play from smooth jazz to Heavy Metal This guitar is absolutely gorgeous to look at and even sweeter to play. <:: Featuring ::> < Z-Mule Pro Series Pickups >Hot lead pickup12k Epiphone Les Paul Bridge PUP So Clean looking This batch won't last !! Stunning !! U.S. Craftsmanship VERY unique !! Just so beautiful to look at and plays like a dream Here it is .. HAND Crafted in U.S.
" Got here fast.Looks and plays well with little setup.Good buy.I"m happy.Thanks. " This unit is considered a players guitar ..
Out test marketing blew us away ..
We have done our best to capture the beauty of this guitar.